What is bamboo blinds shades? Bamboo blinds shades are made up of bamboo stems that are cut into sticks and mounted horizontally. It is a very long lasting materials from the nature. Bamboo blinds are diversified in many forms of sizes, colors, shades of wood, stains and patterns. 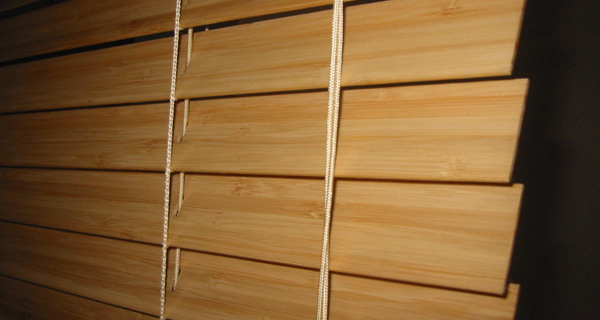 The bamboo blinds offer automatic cord locks and easy installation. Basically there are 2 types of bamboo blinds in the market. They are roll-up style bamboo blinds and folding-style bamboo blinds which add a chic, elegant and beautiful look, splashes of colour (with dyed bamboo blinds), and modern, exotic as well as cosy feeling and texture to your room. How to take care of laminated flooring? What is the benefits of laminated flooring?